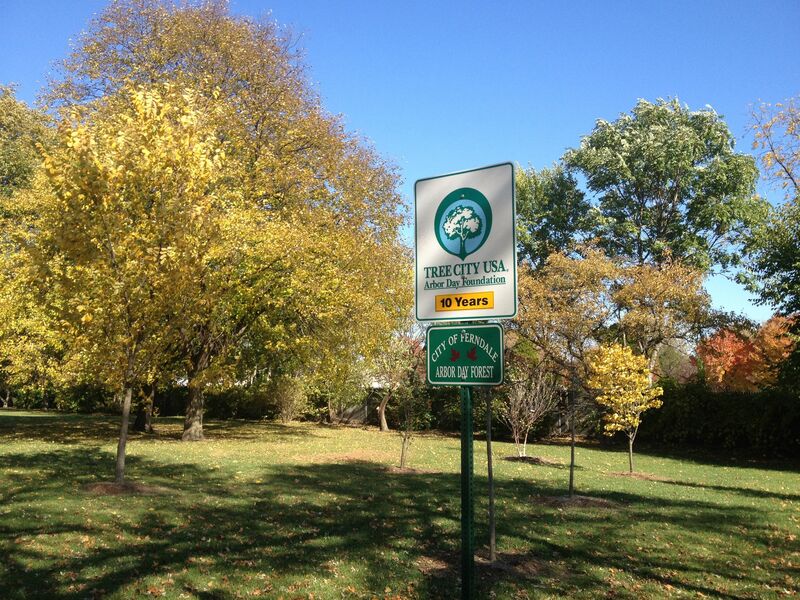 The City of Ferndale, a Tree City USA designated community, prides itself on maintaining a healthy urban forest. The current urban canopy cover for the city is 30%, with a goal of achieving 40%. To improve our canopy, the City has created a variety of programs—including a community tree planting program, tree maintenance program, and updates to some ordinances and polices—to ensure safe, healthy tree coverage now and into the future. The City works with TreeKeeper to document and preserve information regarding Ferndale's urban tree canopy. This includes number and variety of trees located in public spaces— parks, right of ways, and medians. Surveys are completed by quadrant annually, one quadrant per year on a four-year cycle. To learn more about the trees in your neighborhood or community, visit the TreeKeeper map and database. 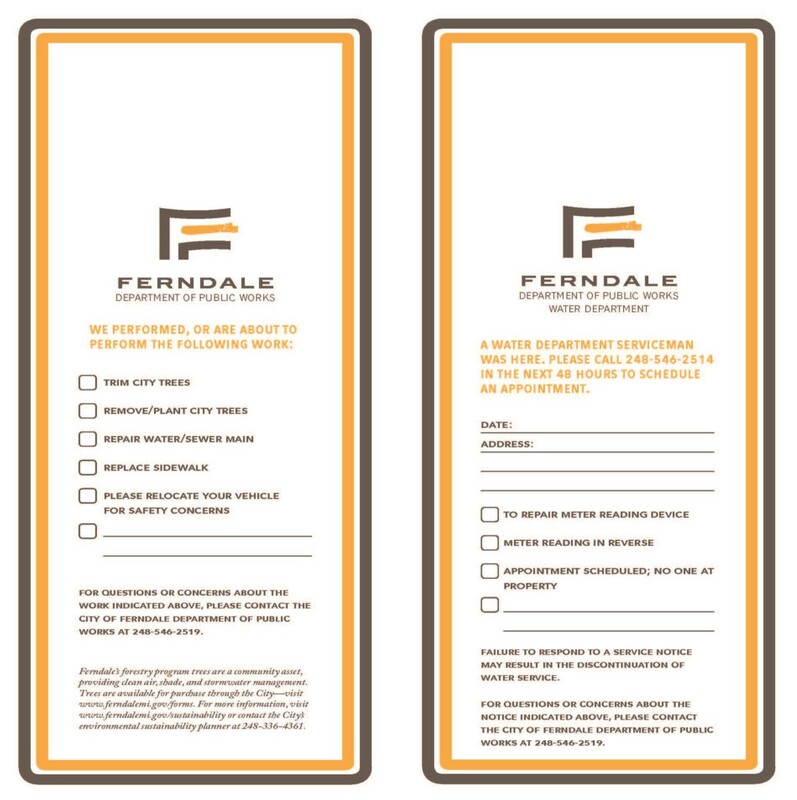 Want to contribute to Ferndale’s Urban Tree Canopy? Ferndale residents and business owners can purchase trees to be planted in the public right of way (between the sidewalk and the street) through the City's tree purchasing program. Community tree plantings occur annually in the Spring (April 1-June 1). Tree orders can be placed online at this link. The deadline for a Spring planting is January 31 prior to planting season. All trees are sourced from local, licensed nurseries, and come with a one-year warranty. DPW staff will only plant trees on public property. Interested in purchasing and planting your own tree? No problem! Please fill out this Tree Permit for that work prior to planting. Highly trained volunteers may be used to help plant trees throughout the city. If you are interested in participating in the volunteer tree planting program, please contact Environmental Sustainability Planner Erin Quetell at 248-336-4361 or equetell@ferndalemi.gov. The Department of Public Works provides a variety of city services, including maintenance on trees located in public spaces. Tree maintenance includes corrective pruning, watering, mulching, or removal due to pests or severe damage. DPW does not conduct tree maintenance on private property. If tree maintenance is conducted on trees in your neighborhood, DPW will notify you accordingly via a leave-behind doorhanger. Check it out below! Ferndale is a zero-loss community, meaning if trees are removed for a variety of reasons (new development, hazard, disease etc.) the same number and/or size of tree must be replaced. The City also has a several ordinances that protect trees and other vegetation throughout the community. These are in place to ensure that the urban forestry is preserved and maintained appropriately, especially in new development. Vegetation Ordinance—The vegetation ordinance protects all vegetation throughout the City, with a specific section on trees. In general, this ordinance provides guidance on how to appropriately acquire, plant, maintain, and preserve Ferndale’s urban tree canopy. Every effort will be made to preserve the existing urban tree canopy. If trees are removed (due to development, disease, or hazard), there are two options for replacement: the same number or size must be replaced on site in a different location, or the tree must be paid for based on the diameter at breast height (dbh), a common tree measurement, and priced at $200/dbh. Monies generated from this fund will be added to the overall tree fund, which DPW will use on urban forestry projects throughout Ferndale. For exact language, please see Chapter 20 – Vegetation Ordinance. Zoning, Landscaping Section—The zoning ordinance covers all land uses throughout Ferndale. This includes the downtown, residential, and industrial areas, with variable transition zones between each zone. The landscaping component of the zoning ordinance ensures the preservation of trees, specifically on new development projects. This was carefully reviewed and coordinates with the Chapter 20 Vegetation Ordinance. For exact language, please see Chapter 24 – Zoning, Landscaping Section. Need a tree trimmed or removed on your private property? This link provides certified arborists in the State of Michigan. Selecting a Certified Arborist ensures that the tree is properly trimmed, treated, or removed safely. The US Department of Agriculture Forest Service developed a manual for tree owners that covers everything from tree selection to maintenance.